If you remember my Bead Table Wednesday (BTW), you'll remember that I cleaned off my craft desk(s). This task included soaking some of my paint water jars and paintbrushes. I couldn't resist snapping a few shots. 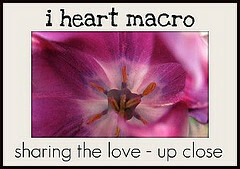 See what else is going on this I Heart Macro Sunday with Lori at Studio Waterstone. Awesome! Zack would love to come paint with you! Please please please come clean mine up too.......maybe I should try some shots of my mess and I could tell everyone it is art???? He's more than welcome. Painting is my nieces' favorite activity when they come over too. 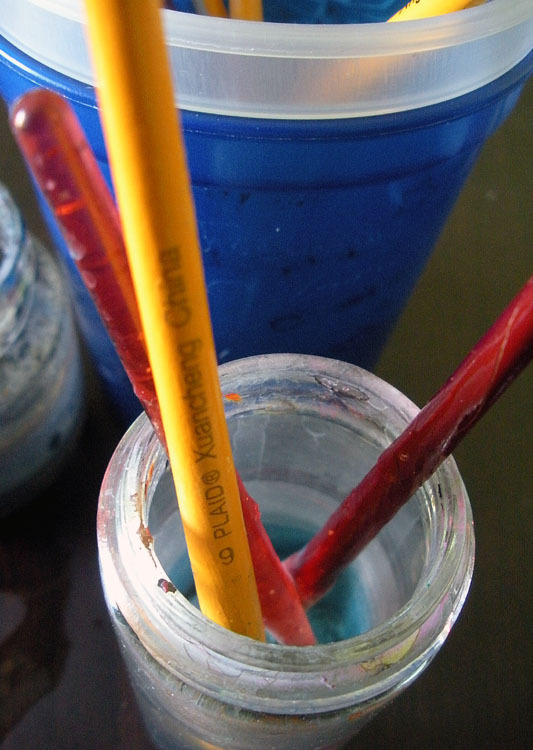 Kids and paint, a messy but fun combo! Great photos they brings back memories, painting something I have not done in years. People often ask if I still paint and I tell then "No, not these days, but I still know how!". My son and niece are the true paint artists in the family. I should probably clarify that I don't actually paint anything on canvas. Most of my paining is done in collage, on wooden beads, or I 'paint' on sealers for various items. I just have the supplies, I don't really paint! I'd love to see some of your work. I'm sure it's fantastic! Sometimes I like the jars better then what I make lol! Those are some well loved paint jars!! Oh yes, waste not want not and all that! 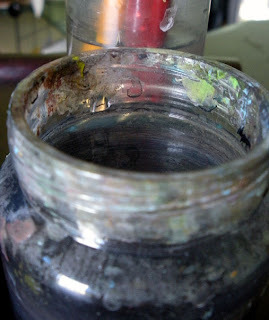 Love that first shot - all those colours reflected in the jar - just wonderful! I know! Thanks so much for stopping by!